"Great notes app for business"
Makes it simple to rapidly type up notes whether you are on your PC, tablet or cell phone. Not exclusively would you be able to type notes, however you can isolate them by simple to-discover journals, just as transfer pictures. You can free yourself of your paper recording framework by uploadings pictures of receipts, charge archives and even house reports. I cherish that it is so natural to synchronize the notes between all gadgets. Anybody in the group can compose and get to any note. It works extraordinary in any standard OS: iOS, Android, Windows. Likewise, its overseeing highlights are extraordinary: you can sort out notes and colleagues get to actually simple. Reinforcement and reestablish highlights are exceptionally helpful also, when you work with other individuals now and then somebody can erase or harm information, having the alternative to reestablish the document to a past rendition can be life sparing. Cost is somewhat high. A few people needn't bother with every one of the highlights evernote gives so paying the cost to the full bundle isn't justified, despite any potential benefits to them. You ought to likewise consider Skitch, which runs connected at the hip with Evernote Business. I would likewise make a point to exploit any preparation that may accompany your bundle as this item can be very mind boggling. By and large, extremely accommodating and would prescribe. Being able to make, audit, alter and send notes in a hurry have enabled our business to address issues in a matter of seconds contrasted with different strategies for association. It likewise has enabled our representatives to turned out to be increasingly composed and deal with their time better, accomplishing objectives in less work hours. I regularly need to take notes amid gatherings, this has turned into a greatly improved choice for me then apple notes. It's progressively composed and functions admirably with the Apple Pencil. Forget about cluttering your computer - save everything to the cloud instead! I'm still trying to figure out how to merge my two Evernotes. I have read the instructions but it didn't seem to help me. I would like to merge all the notes I've ever had. I think Evernote is a smart way of keeping your notes organized. It helps me archive interesting articles and thoughts for later and then simply search for them within the platform. The free version is good enough; however, I started archiving a lot of information and quickly ran out of the max available upload monthly which is 60 MB. So i went ahead and upgraded my account. After all, &32/annually is nothing given how useful this software is. I learn-learn -learn! I come across interesting, helpful, and educational articles and I archive them so i can then use this information to better my digital marketing initiatives. I save a lot of competitive information and general research so I can then use for my content marketing. I like that I can use that software with all my devices. I have a good sync work. Very easy and fast to create lists. Care a lot about my work. I like that I can work when I'm out of office. Generally, software is good and working well.sometimes has a small problem with sync. Maybe will be nice to have a bigger choice of tools. Good organization side. Perfect software. You will not have a problem to use it. Very easy to set up and simple to use. I guess with this platform you will have a powerful help. We are like that we can do more work online. We can save all pages in web. We can find our links which we were attending. Also its perfect to be allowed to use all information which we need. "Best Notes app! You only need this one." Everything I possibly want to do regarding my notes taking is supported by EverNote. Folders, tagging, organizing, pictures, video, audio, running notes, everything. I can't seem to think of anything I don't like. Think through how you want to organize your life before starting to use EveryNote. It is very easy to clutter things up. On the other hand, I created a "temp hold" folder and dumped everything in it and then one by one started to review-and-organize in folders. I am an author, I am a consultant with multiple clients, and I am an executive. In a given day I work on 15 to 20 different projects and things. I use only EverNote as a single centralized consolidated tool for note taking. "Effortlessly Manage Notes Between Devices"
Evernote makes it easy to quickly type up notes whether you are on your computer, tablet or smartphone. Not only can you type notes, but you can separate them by easy-to-find notebooks, as well as upload images. You can rid yourself of your paper filing system by uploadings images of receipts, tax documents and even house documents. Evernote has changed the number of devices for their free service. To continue using Evernote for free, you are limited to two devices. This is a quick and easy way to manage business features such as notes, memos, and allow for collaborating with others. Notebooks can either be private or shared. And these statuses can be updated at any time should one's business needs change. As an e-teacher, I am able to quickly type up notes on each student. I can create notebooks for each day of the week, and then create individual "note pages" within each notebook for each student. I can quickly type up their personal interests, birthdates, likes and dislikes, as well as notes for next lesson, and areas of growth. It eliminates the need to have pen and paper nearby, and no more losing notes or throwing them away by accident. "Your best app for notes on the Cloud"
Having notes in the cloud provides many advantages for teams. Having the opportunity to access notes on the go can save time, money and problems if you're working with a large team or in various projects. I love how easy it is to sync the notes between all devices. Anyone on the team can write and access any note. It works great in any mainstream OS: iOS, Android, Windows. Also, its managing features are great: you can organize notes and team members access really easy. Backup and restore features are very useful as well, when you work with other people sometimes someone can delete or damage data, having the option to restore the file to a previous version can be life saving. Like anything on the cloud, if you doesn't have an internet connection you're unable to access your files. Sometimes this can cause problems when you re-sync. Also price is a little high. Some people doesn't need all the features evernote provides so paying the price for the full package isn't worth it to them. Evernote Business is great for any company which want to increase their productivity. Having the ability to make, review, edit and send notes on the go have allowed our business to address issues in no-time compared to other methods of organization. It also has allowed our employees to become more organized and manage their time better, achieving goals in less labor hours. No user minimum. Full offline access. This is especially important to my company since we have anywhere from 25 to 50 employees using this application on a weekly basis. By having full offline access and no user minimum for the application, our company is able to access all of our documents and share them with other users so that we are able to collaborate using the same materials. The application utilizes document sharing and collaboration tools. It's a great tool for capturing brainstorming sessions, storing documents, and embedding audio and images into notes. However, it's best for small teams with limited needs; larger companies in need of robust collaboration tools will be disappointed. Evernote's consumer software is very easy to use; its business plan offers more functionality, and, unfortunately, more complication. I love that it offers offline access of all files across all of your devices, but having to rely on a desktop app or Google Drive for document editing is inconvenient. If you need this feature, I recommend looking at Box Business, Google Drive for Work, or our Editors' Choice Zoho Docs Standard. Not all of our users have the ability to be able to log onto the desktop application, so this makes it very inconvenient if something needs to be edited. Team members can collaborate using notes, but users can't simultaneously edit a note. You're alerted if you try to open a note that someone is already editing, however, you can still choose to open it. In that case, if you make any edits, Evernote will create a second copy of the file, which could become confusing. There's no way to lock other users out of a file. One big bonus is that you can access all of your notebooks and files from any device, even when offline. This is much more convenient than selecting documents one by one for offline access as you have to do with Citrix ShareFile$16.00 at Citrix and Dropbox Business. The main benefit of using this application is that multiple users can view the same items, but only one person can edit it at once which can be troublesome especially if the users are not in the same offie or space. This application has really helped though with helping more team members collaborate with one another and have the access to all of the same materials. "Reliable documentation and collaboration tool. " Evernote provides us an easy way to create shared documentation on product launches and employee onboarding. Workchat feature easily notifies when I invite a colleague to view or edit an Evernote. It can be confusing if two people are in the same Evernote at the same time. Also, there is no track changes or ability to comment so I've struggled with that feature compared to a google doc for example. As mentioned before, we have one version of the truth with Evernote when it comes to employee onboarding checklists as well as we document our feature launch note using Evernote as well. A great collaboration tool across departments. I got Evernote so I could write notes with the Apple Pencil. It works lovely and I enjoy using it to take real time notes. I’m still new to this product, only using it for a few months. So far there is nothing I dislike. I love that it can sink between your devices. It’s a great option for taking meeting notes and being able to access them anywhere. I often need to take notes during meetings, this has become a much better option for me then apple notes. It’s more organized and works well with the Apple Pencil. It’s Mac compatible! There are too many programs that would be useful if they were only compatible with Apple products. Evernote’s line of products are Mac friendly! There are a lot of hidden features that Evernote offers but many of them I’ve found on my own. It’s not as clear as it should be to new users. I can include many different types of communication and information in Evernote Business. If I have business cards, recordings, hand written notes, whatever information I need to include, it is easy to include it. If coworkers need to send me information to include then that’s easy too. It’s a great way to organize all the ‘catch-all’ information needed to complete projects. "Love how Evernote Keeps Everyone Organized "
I love how easy it is to log and track events and ideas and that I can check things off as I go. I love how I can collaborate with others on tasks, especially when the task involves someone who does not physically work in my office. I also really love the ability to upload documents directly through the app to allow others to utilize and view them without having to send a ton of emails back and forth with various attachments that could potentially be missed. Nothing comes to mind that I would say that I dislike. Being able to coordinate with others on projects. We have a number of offices in different states and timezones which can make it hard to get everyone on the same page and focused on deadlines. Needing to collaborate with people on the West Coast can be difficult to say the least. Tracking tasks and documents in one place makes it a lot easier to track things to completion. "Simplified Note Taking - Great w/ skitch"
I like that this integrates seamlessly with a lot of things. One integration is with Google, where when you are doing a Google search for something, it will look through your notes to see if this topic has been in your notes anywhere. I think the collaboration piece could be better between users. When I want to share a note with someone or something I've been working on with someone, it's not very convenient. However, there is a URL share which is very handy. You should also consider Skitch, which goes hand in hand with Evernote Business. I would also make sure to take advantage of any training that may come with your package as this product can be quite complex. Overall, very helpful and would definitely recommend. Communication. Evernote makes it easy for me to not only take notes, but then quickly search through them for the correct date/customer/subject. 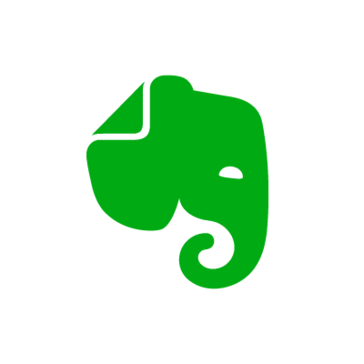 "Solid note-taking software with some glitchiness"
Evernote Business is clean and uncluttered and provides an excellent way to take notes on the fly and keep them across myriad devices for however long you'd like. If you're looking to do more of the same basic note taking and keeping, Evernote Business is not worth the upgrade from freemium. Multidevice syncing isn't always the most streamlined or effective feature, and sharing content with another user is rarely quick and easy - though it's certainly supposed to be. Meetings, whether scheduled or conducted spur of the moment, are enhanced by Evernote Business, which enables users to quickly recall previous communications, incorporate them into discussions, and take new notes on the fly. The result is better, more efficient meetings. "An easy and effective note taking and sharing program"
Evernote Business helped us collaborate as a team and share notes between coworkers from one program and all in one place. It kept us from having to access multiple points to get the same info and allows a team to all add and edit the notes they have access to. Honestly, I cannot think of a thing I do not love about this product. Does this product have an integration with Salesforce? Would that be possible? Easy to share notes and insights with anyone even if they do not have an Evernote Account. you can save and share all the work allows you to share and manage in conjunction with other different files quickly and concisely. keep everyone up to date on the changes that have been made without having to send a burst of email. Recommended to manage information of a large or small company. Solving negotiation problems seems obvious to you. of Evernote classification allow us that commercial development. of negotiators and experts in agreements, we have realized. "Great for note-taking, sharing and storing"
I love that all my notes are in one place. It's easy to search and go back to old notes. Also it's super easy to edit and share my notes. The only thing I dislike is that it's not easy to share notes with people who don't use Evernote. In these instances, I have to copy and paste my evernote notes into a word doc and share that way. Within my team, we use the tool for note-taking and sharing. It allows us to give our clients the best results. "Most amazing tool to keep all my articles sorted"
Very easy way to clip articles, add notes and share thoughts with your colleagues. Easy overview of all your notes. The most efficient way to easily save AND find back articles you've read online, in pdf or mails. The option to tag articles, share notebooks and lock parts of your note to the top are my favorite. "Easy-To-Use & Great for Collaboration"
The format switching from bullet points to check boxes is a little tedious. "Excelente opción para manejar la información"
"Convenient to files and documents oragnized"
Evernote was was easy to use and having it on your computer and phone made it so I could have important documents and papers on the go. Dragging and dropping documents from one file to another was a little hard. Maybe it was just on my computer at the time but it would often drop into the wrong folder. Highly recommend. It’s easy to share files between people and having the ability to sign into the same account on your phone makes it more convenient. Evernote helps declutter office paperwork and documents. Finding documents is easier that looking endlessly through papers and binders, Evernote solves that problem and benefits by keeping everything close at hand. I love using this to keep notes on my students. You can organize antidotal notes by groups. Able to organize groups and share with other colleagues. It helps save time in the classroom. You can easily pull up notes for meetings. I like that Evernote is free and helps me to create notes at the spur of the moment that I can come back to in my business. Evernote has been a fantastic app to use and offers a lot of convenience. I don’t have any dislikes. Evernote allows me to stay afloat by offering me the ability to share my notes with others when needed. "Evernote Business is Good "
I like that Evernote Business is easy to use and change between screens and navigate the site. It is difficult for me to sync documents and pages, not super user friendly. I would recommend it but it for certain needs with employees, especially to save time when sharing documents and files. Utilizing time more efficiently when in meetings or taking notes for things. We often need to share files among co workers or move a file from a phone, iPad, or computer. This is a simple way for us to do that. Evernote allows me to stay super organized at work by having several different notebooks, with even further organization within the notes. I don't have any complaints. It is easy to use and helps me through every meeting. This is used mainly for team organization and note taking. The benefits include easy sharing and being accessible on all my devices. "Great resources for any business"
Very similar to INotes on iPad and iPhone. It is really great for jotting down ideas whenever something pops into my head, even in ordinary day-to-day situations like on the subway and stuff. I am really puzzled as to why there is an elephant as its logo. Evernote helps me not only jot down ideas but also easily share them with other colleagues. "No user minimum. Full offline access.."
Evernote Business is a fine product for light collaboration, but it falls short when it comes to document management. Document editing available only via the desktop app. No more losing important documents and conversations and urls. Keeping track of all the stuff I need to remember for years, now. "Such a great spin on traditional Notes"
Mainly the ability to share with teammates. So far I haven't run into any issues so can't say there is anything to dislike. The benefits on keeping notes during sales calls that I can then update into records when I have the time. I love that I can keep my pay stubs, birth certificate and every other important document all in one place on my phone. "Alright for a notebook tool but lacks productivity value add..."
Its simple, and easy. Teams share notes and notebooks without hassle. Limiting authors to one editor at time is not good for remote collaboration. If you are paying for a similar service... like google docs or using MS OneNote, I don't think its worth the switch. The organization of the product and note taking abilities. The ease of sharing, adding recordings, keeping a calandar, and doing surveys. There really isn’t anything I dislike except the cost but for what it is the cost isn’t that bad. I’m just a non profit volunteer running an organization as president so the cost is prohibitive. I can easily access notes, have recorded meetings, share content and have everything in one dot so I don’t have to search through files to find it. I like how it backs up everything to thme cloud and allows anyone to view notes from wherever. "Quick and easy note taking "
I like to use Evernote as a place to jot down catch-all things related to projects. We also keep start-up process notes in Evernote as well. The only thing I dislike is the sharing note feature, which has to be done through work chat. Then, to find a note someone has shared with me, I have to go back through my work chats. I recommend it for collecting notes and updating in real time. "Cloud based note taking platform "
I like the ability to easily share taken notes between different platforms and mediums I use on a daily basis. Great platform with a very user friendly interface. streamlined note taking abilities while on the go. "Works great for small teams"
Everyone can easily access everyone else's notes. Even offline. Evernote Business is a fine for light collaboration, but it falls short when it comes to document management. Everyone being able to view each other's notes. "Great for lists, bookmarks, "turbo-snipping""
If you're pulling pictures, screenshots, articles, websites all together, this can't be beat. Very easy to search your entire history and share. I have it open during all work hours because it's a versatile way to keep a daily to do list. Super easy to add check boxes. Can't think of much. There's an exisiting notebook default that I wish was not there, but that's probably user error. Daily to-do list. Sharing information with coworkers. "Helpful but initially challenging to learn..."
Overall it is helpful to be able to group similiar projects. Do not like the mainframe. Wish I had the option to change the colors. Consider it. Saves you time and documents are located all in one place. It helps you to take notes anywhere and you can retrieve them at a moment notice. The ability to have information anywhere you need it. Also the ability to have team communication. That some of my users have free accounts and are limited in options as to approved devices. "Evrrything I need in my pocket"
Organized and easy to use. Love that I can organize tons of different data in one place. I use this to share information on properties with other parties working with the same property. I love the ease of sharing documents with coworkers across the company. I really don’t have any issues with this software. Our company is large and spread across several states. It really helps with implementing new hiring systems for our organisation. * We monitor all Evernote Business reviews to prevent fraudulent reviews and keep review quality high. We do not post reviews by company employees or direct competitors. Validated reviews require the user to submit a screenshot of the product containing their user ID, in order to verify a user is an actual user of the product. Hi there! Are you looking to implement a solution like Evernote Business?